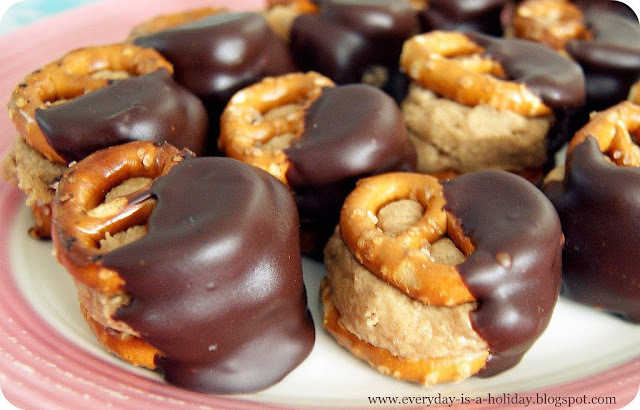 peanut butter pretzel bites...yes indeed! First, A very big welcome to new followers! Thank you guys so so much for popping in and for following! It truly means so much to me! Once again...a late night on Pinterest...lead to these! I pretty much had all the ingredients but the pretzels. And it wasn't too hard to get the pretzels once I turned my computer screen toward Aaron and my brother Jay. In seconds they were both popping on shoes, grabbing hoodies, and were back with the twisty salts within minutes. They take minutes! A little freezer time is needed...but just about the time it takes to clean up, pour drinks, and queue up a movie! In a mixing bowl, combine the peanut butter and softened butter, mix well. Next, add both sugars, mix till well combined. Once you have rolled all of your balls, you can sandwich them between pretzels. When finished, pop them in the freezer for about 20 mins. Meanwhile, chocolate time! In a microwave safe bowl at 30 second intervals melt your chips, stopping to stir and check them. Now, remove your sandwiches from the freezer, and one by one dip half of each into the melted chocolate. Return to the baking sheet. Once finished, pop the tray back into the freezer for about 15 mins. It's that easy! They are so so yummy! The brown sugar really makes them! I think they are perfect party treats! Or even a really fun addition to a holiday cookie platter! Oh good Lord, these look amazing. I think I will take them to Easter!! 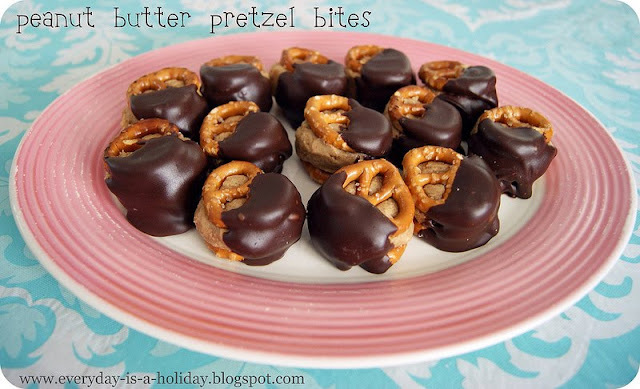 Firstly, I love chocolate coated pretzels, the combination of salt and chocolate is too good. However you have added the only thing that could make it even better. Just looking at these makes me hungry!! Nom nommmm!! I want some! Thanks guys! Ohh my gosh..they are so so so good! Like INSANELY good! This looks extremely good! I want! Ooo! These look so tasty right now! I'll definitely have to try these soon. Love your blog! The layout is adorable. OOOO! 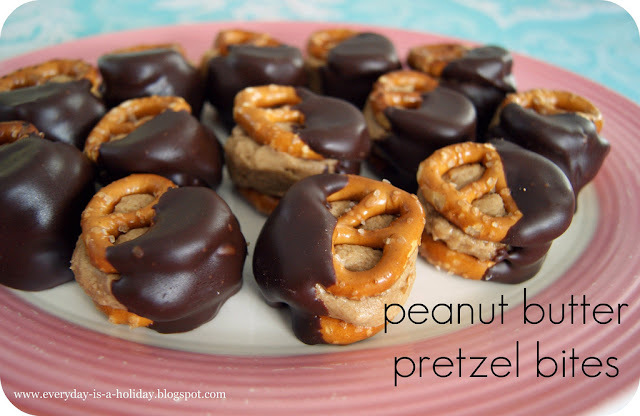 I love pretzels in chocolate and in peanut butter, so I KNOW these will be off the charts good!! Definitely will have to try these! Oh these do look divine mixing salty and sweet. Oh my goodness these look SO delicious! 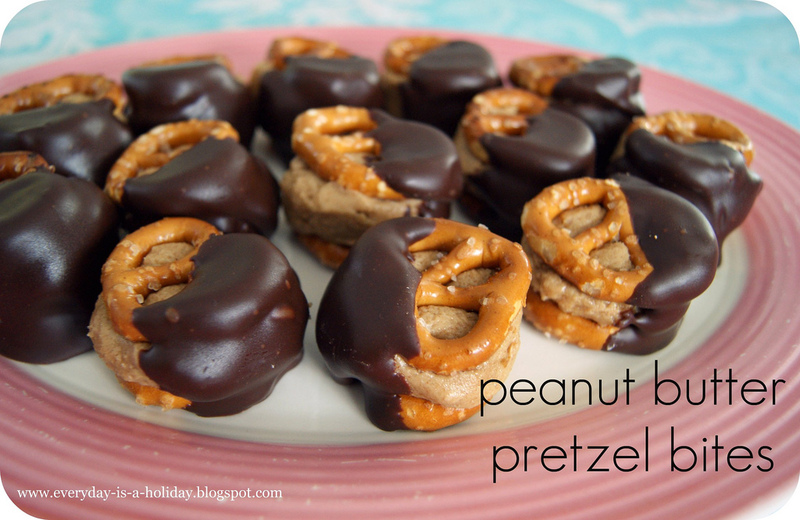 Chocolate-covered pretzels are one of my most favorite things to snack on, and these are kicked up 10 notches! Thanks so much for sharing - can't wait to try them! yum! i need to make these asap. i love your blog btw and am so glad i found it! oh nooo, why did you have to show me these? now they will most likely be made all too often :) adorable, adorable blog. you seem so sweet! <3 christen @ from the woods.